Get this mini cheesecake recipe to make easy and tasty Easter desserts! No bake cheesecake, that is topped with marshmallows and candied fruits, look pretty and also have a surprise inside. These no bake mini cheesecakes are fun and easy to make with kids and surprise your guests! Moreover, these Easter desserts are healthier than a regular cake. Some mini cheesecakes have surprise inside, but some – not. It is a great game for your family and friends. Someone, who will have a surprise inside will be more lucky! 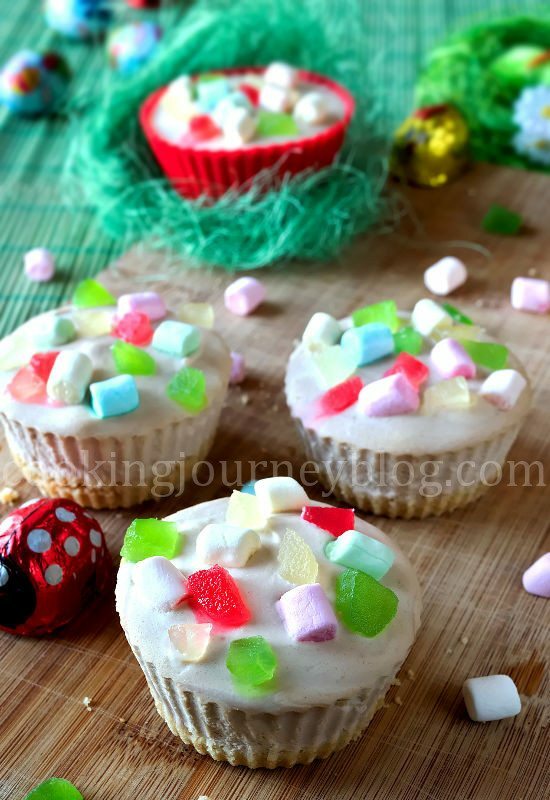 Do you want to make Easter cupcakes, but your oven will be working on your main dish? 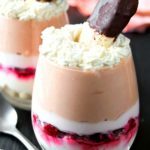 No bake cheesecake is a great option! But wait, these are cute Easter desserts with a surprise inside, no need baking, cutting, serving, slicing…. It is just a simple cheesecake recipe served stress-free for everyone! 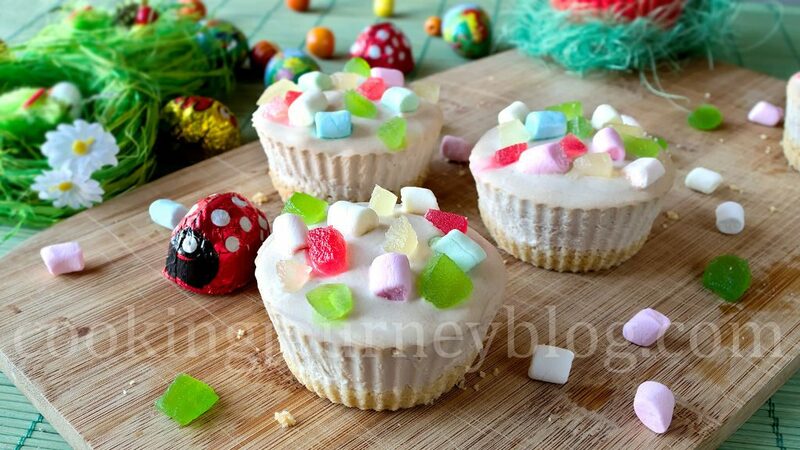 Small and cute Easter desserts with a game of surprise inside, everyone will love it! These mini cheesecakes have biscuit and chocolate crunchy base, creamy banana cheesecake filling and colorful topping. Soft and chewy Easter desserts, not only fun to make, but also every bite is so delicious! I used condensed milk flavored biscuits, white chocolate and butter for the base of these no bake Easter cupcakes. Moreover, you can use gluten free biscuits, combined wit few tea spoons of yogurt instead of butter. Check our Raspberry cheesecake recipe, where I made the crust with no butter. I used a little bit of raisins to “glue” it together. Anyways, you will need a biscuit base that like a “wet sand”. But you can totally omit the base to make it gluten free, too! However, I like that mini cheesecakes are a bit crunchy and chewy on the bottom! So the filling is banana cheesecake. I used banana instead of eggs to make a richer and creamier taste. 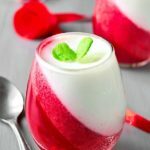 I mixed it with my favorite in healthy dessert recipes – Greek yogurt. Moreover, I didn’t add any sugar in the filling, except for vanilla flavoring. When you eat it, you will have a sweet base and a sweet topping. 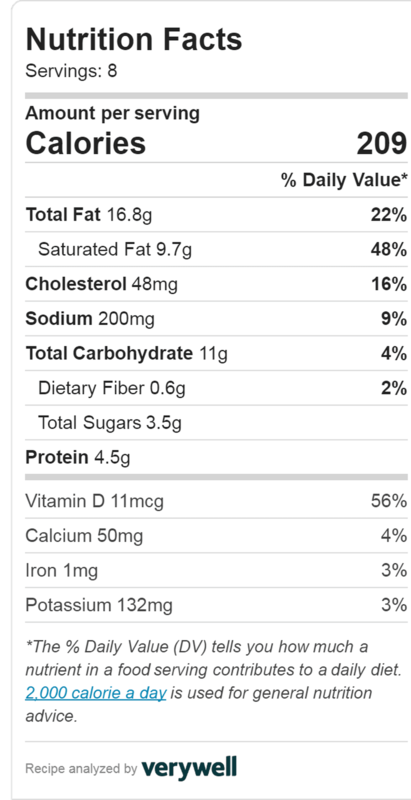 So you don’t need a sweet filling at all! Moreover, those who will have a surprise inside will have a sweeter dessert, actually. Now about the best part of the dessert, the surprise! 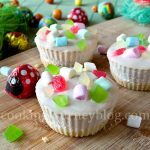 It’s Easter, so everyone should play the game of finding eggs, bunnies and so on… So I hid a few eggs in these Easter desserts! That is so fun, isn’t it? Actually, there are some small chocolate eggs, hidden in half of the cupcakes. Just make sure that you put a chocolate egg in the middle and cover it with cheesecake filling. When you serve these mini cheesecakes, there are no signs (from every angle) of which are more lucky! Only when you take a bite, you will see if there is an egg inside. Well, you can mark some mini cheesecakes with special marshmallows for yourself. But actually, it is not fair, haha! 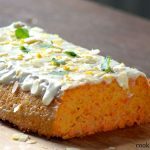 Moreover, it is so much more fun eating these Easter desserts! So basically this is a banana cheesecake that doesn’t require baking! 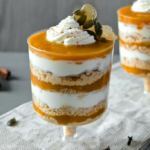 But it is Easter time, so we need to prepare colorful decoration for these no bake mini cheesecakes. I topped my Easter desserts with candied pineapple and mini marshmallows. But the topping is up to you! You can add other candied fruits, nuts or berries. Strawberries and blueberries will be good addition. 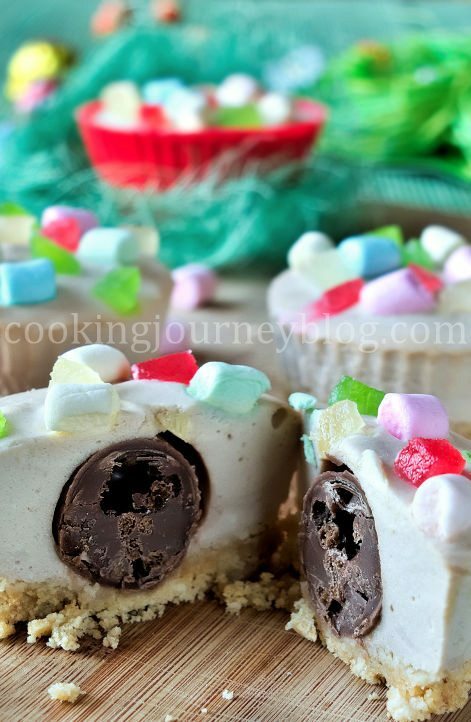 Moreover, you can add colorful chocolate mini eggs on top! Easter is all about tasty and colorful food, surprises, family and friends together! So have fun and enjoy the spring! 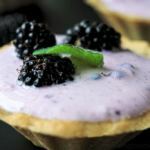 Hope you will enjoy this easy mini cheesecake recipe! For more Easter dessert ideas check our Flour-less Carrot Cake, Blueberry and Chocolate cake or Strawberry desserts. For more easy Easter recipes for Easter brunch, check our Spinach quiche and Roasted asparagus. In a food processor crush biscuits and chocolate. Add melted butter and proceed until wet sand. Push biscuits to the bottom of muffin silicone molds and place in the fridge. Push in the center of half molds with a finger to leave a small notch. Blend together yogurt, milk, cream cheese, vanilla and banana until smooth. Melt bloomed gelatin and blend it into the cream. In a separate bowl whip heavy cream until soft peaks. Fold whipped cream into cheesecake filling. Remove muffin molds from the fridge. Place 1 chocolate egg in half of the molds in the notch. Fill the cups with cheesecake mix to the top. 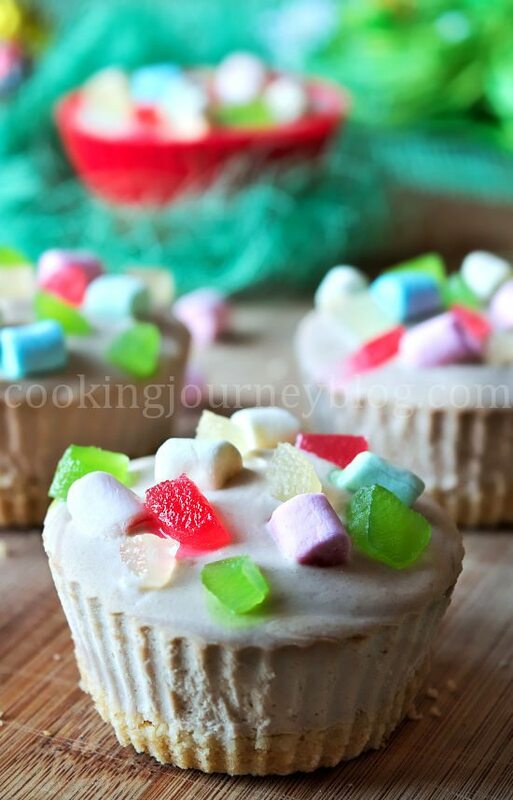 Decorate mini cheesecakes with mini marshmallows and dried fruit. Leave in the fridge until set for at least 2 hours or overnight. Remove mini cheesecakes from silicone molds and serve! Yes, they are! Have a Happy Easter! These are so cute!! And I love the banana in the recipe, Yum!! What a delicious dessert for Easter brunch! Thank you, Sophia! This is truly cute and delicious Easter dessert. 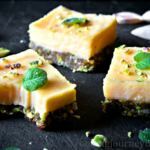 I love that you’ve used banana and Greek yoghurt in the cheesecake – sounds healthy and delicious! Thanks! Yes, a bit healthier Easter brunch idea! I’m hosting an Easter brunch so these are going to be perfect! They’re so cute and festive! Great! I’m sure everyone will be surprised (in a good way), when they bite a cheesecake! Well these are just ADORABLE and look so tasty! Thanks for the recipe! These are so super cute! And I love that they are no bake:). Definitely making for Easter! Thanks, Jennifer! You can make this dessert, while you Easter dinner is in the oven.